Xiaomi’s conditionally great extra large phone Mi Max is an affordable mid-range device that comes with MIUI 7 operating system. Of course, MIUI is enjoyable to use once you get used to with it, but not for all. Chinese people love MIUI skin, but all western people don’t. Luckily Recognized XDA developer tarkzim built a near to stable LineageOS 16 based on Android 9.0 Pie AOSP. 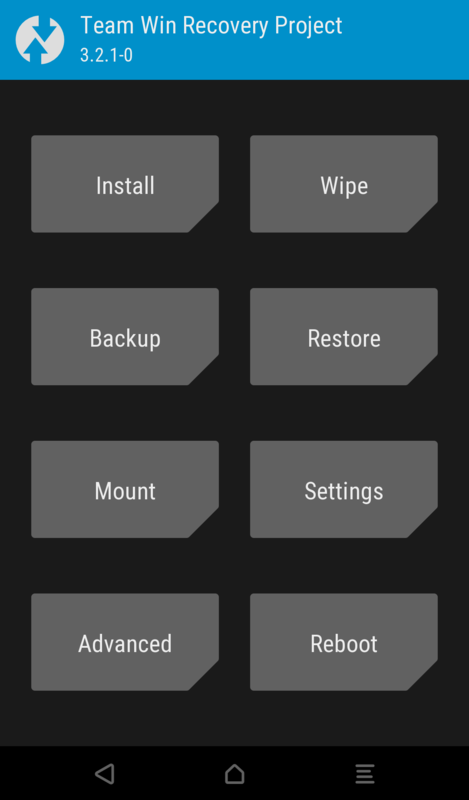 Since it is an unofficial release from the developer community, you need to have a custom recovery installed in order to flash the ROM ZIP file. With this guide, you will be able to install LineageOS 16 Android 9.0 Pie on Xiaomi Mi Max. We have a full step by step tutorial below with download links, read ahead. With a 6.44″ display, Mi Max is larger than a standard phone, having curved “2.5D” glass on the front. Backed with Qualcomm Snapdragon 652 processor, the phone also has a huge 4850mAh non-removable battery. With this impressive specs at the very affordable price range, the phone got proper attention in the developer community. Xiaomi upgraded Mi Max’s system from Android 6.0.1 Marshmallow to Android 7.1.1 Nougat officially. There is no news for further system update even for Android 8.0 Oreo. But it does not mean the developer community will sit idle. 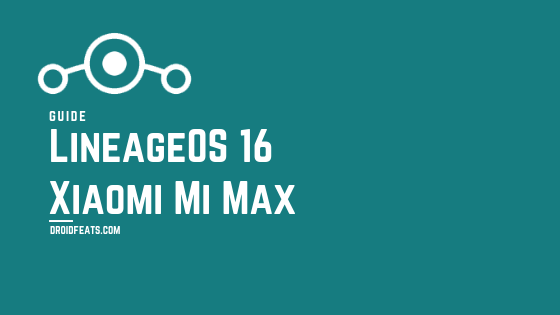 Thanks to XDA, we have LineageOS 16 for Xiaomi Mi Max, read ahead and download. What’s working on LineageOS 16 for Mi Max? LineageOS 16 is a Pie based free community-built aftermarket firmware which is designed to increase the performance and reliability over stock Android on your smartphone. Earlier, it was CyanogenMod which is a discontinued open-source operating system. The LineageOS is based on AOSP (Android Open Source Project) with some added tweaks and features by the developer community. Since it is based on AOSP, the OS’s skin is naked, and bloatware free. It can be used with or without Google Apps. If you want to use Google applications, you need to flash GApps additionally right after flashing the ROM. LineageOS 16 for Mi Max is in the initial stage. So, it is certain that you may find some bugs and errors. We expect everything will go stable in the future updates as the developer opened a bug report thread for the users. Check out what’s working and known issues in LineageOS 16 for Mi Max below! Since the firmware is not an official rollout by Xiaomi, the stock recovery won’t work here. So, in order to install LineageOS 16 on Mi Max, you must have a custom recovery like TWRP installed from before. In that case, you also have to unlock the bootloader of your phone. If your device doesn’t have a custom recovery, and bootloader is not unlocked, please do that first and get back to this tutorial. Note: Rooting is optional in the above-given tutorial. You can skip it if you only need to install recovery for LineageOS 16. We have mentioned full step-by-step instructions on how to install LOS 16 on Xiaomi Mi Max. If you are entirely new to rooting, flashing a Custom ROM or an Official Firmware, please read the entire tutorial once before actually performing it on your device. Download the LOS 16 and GApps from the above links for Xiaomi Mi Max on your computer. What’s your views on this LineageOS ROM? Please do share in the comment section below. So you are done with this tutorial! You had successfully installed LineageOS 16 on Xiaomi Mi Max using our guide. If you faced any problem with performing this tutorial, please let us know by dropping a comment below. Our team will reply you back as soon as possible.